LAKEFRONT! Donât miss this opportunity to live on Lake Junietta! 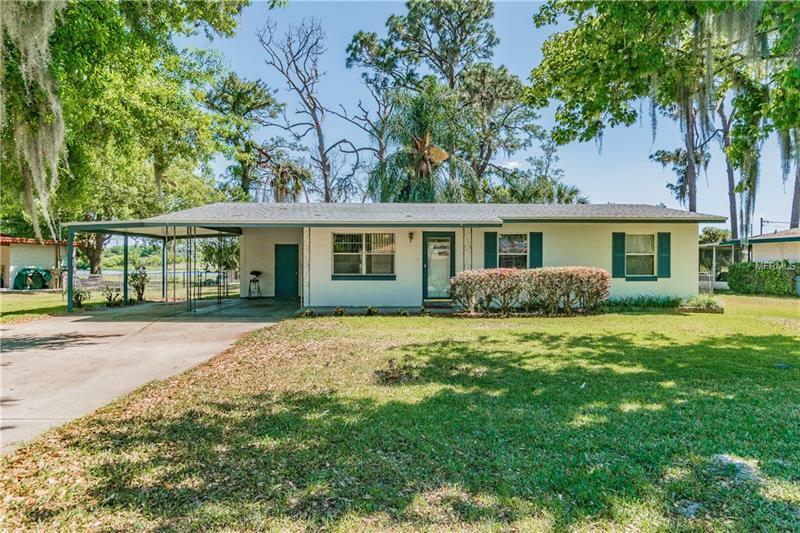 This charming mid-century 3 bedroom 1 bathroom home is found in a quaint neighborhood of Tavares, centrally located on the corner of 441 and Lake Eustis Drive. This property offers an oversized fenced yard, large shed, and bright Florida Room to soak in all the views of this quiet motor-free lake. With newer roof (2015), HVAC (2015) and Septic (2013) this well maintained, move-in ready home is ready for new owners. Take advantage of this rare opportunity to call this waterfront home, your own!